Since today is April Fool’s Day did any of you get tricked? Or were you the trickster? The salad I am sharing today is perfect for April Fool’s Day because there are extra veggies ‘hidden’ in the salad dressing. 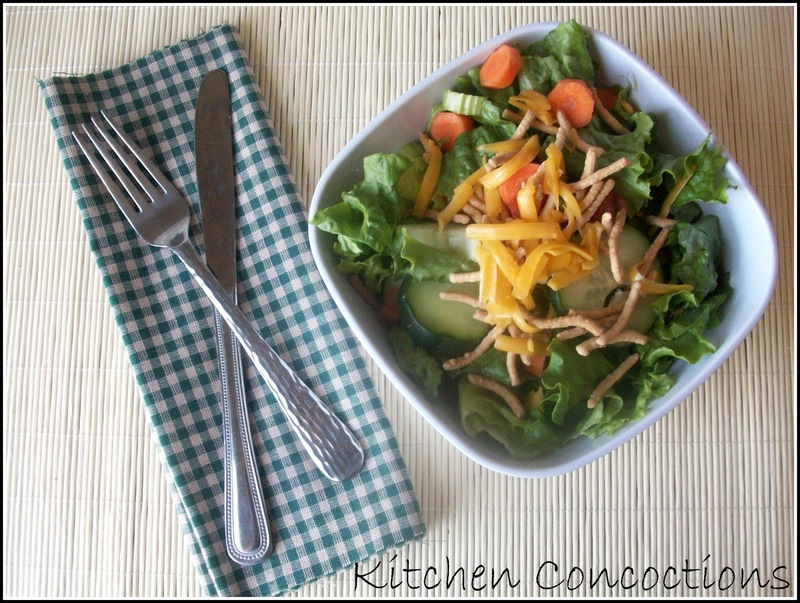 So you (and your kids) will not only have a variety of good for you veggies in the salad, you get an extra ‘secret’ serving. Sneaky huh? 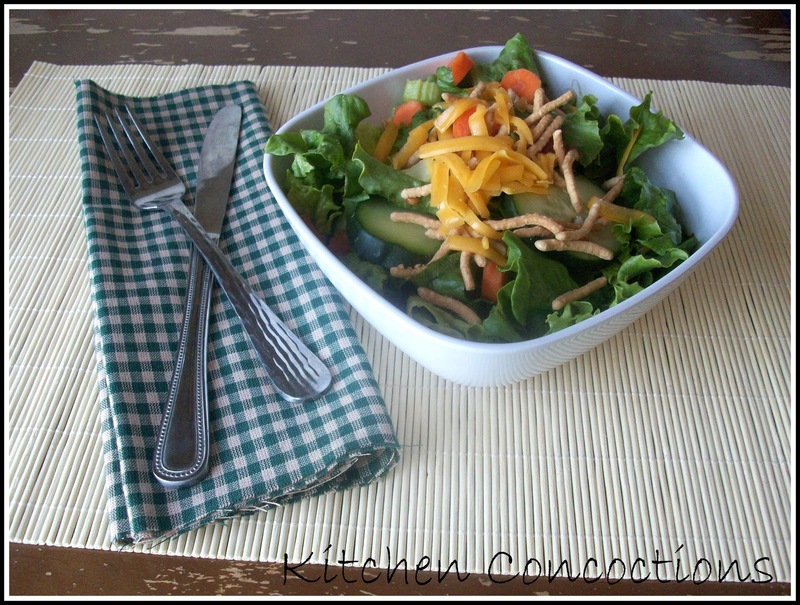 I really liked the addition of the chow mein noodles to this salad. They added crunch but not like a crouton. And it should be noted that because of the veggies purred in the dressing, it is an extremely thick dressing. This salad is perfect for spring! So what were the pranks you experienced today? In a blender, combine the first six ingredients; cover and process until smooth. While processing, gradually add oil in a steady stream. Transfer to a bowl or small pitcher; cover and refrigerate until serving. In a large bowl, combine the salad ingredients. Stir dressing and serve with salad. Refrigerate leftover dressing.